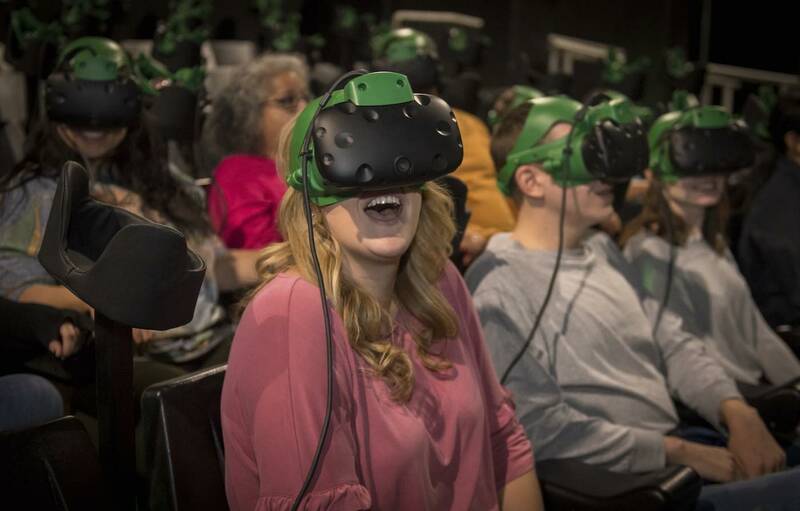 28 June 2018 – Busch Gardens Williamsburg’s new attraction for 2018 offers an exhilarating virtual reality (VR) experience on a motion simulator. It is, says park president Kevin Lembke, the first of its kind in the industry. Here he shares the story of the Battle for Eire. The new look attraction opened on April 13, replacing Europe in the Air. 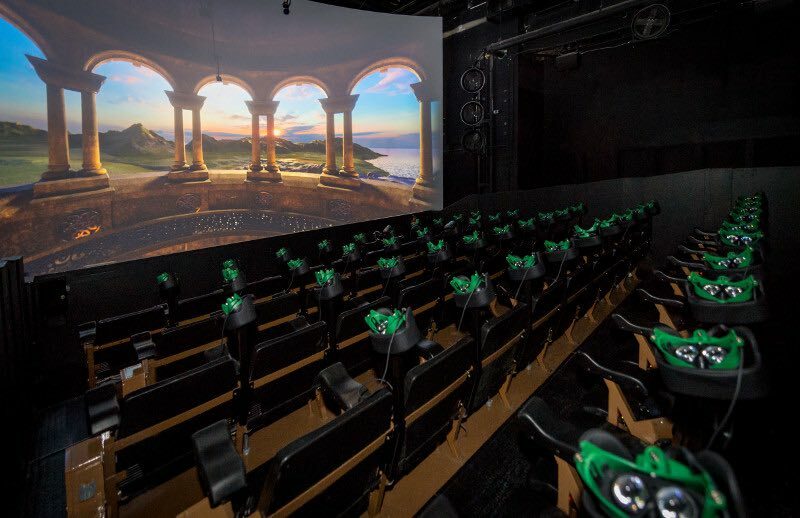 It uses the same building and hardware as its predecessor, but comes complete with an all-new ride ride film and VR experience courtesy of Falcon’s Creative Group. The mesmerising Irish scenery and enchanting characters are brought to life with stereoscopic 3D virtual reality content, special effects and an original orchestral score in theatrical 7.1 surround sound, all synchronised to a high-powered motion platform. The VR experience is located in the Ireland section of the park in Williamsburg, Virginia. 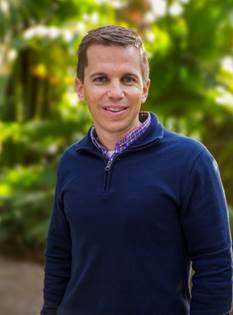 Here Kevin Lembke (pictured) who is in his first season as park president but has enjoyed an 18-year career with SeaWorld/Busch Parks & Entertainment, tells all about it in his own words. A motion simulator with a screen is something that has been done many times before. Quite a few theme parks now have VR roller coaster experiences too. Our goal for Battle for Eire was to create a unique experience that hasn’t been done before; to get that virtual reality element together with a motion simulator. We had a lot of the infrastructure already, including the simulator from Europe in the Air. By adding a VR component we have created a completely new attraction experience. The 360-degree virtual reality allows you to have a unique experience every time. You can look all directions, you are fully immersed in the environment. And the feeling of flying is just incredible. Falcon’s Creative are a great media company, who we have an established relationship with at [Busch Gardens operator] SeaWorld Parks & Entertainment. They have the expertise and were able to get all the right people in the room to bring the VR experience to life. They worked on the film, theme and character development and brought in partners on the hardware side. You enter the attraction by passing through a long corridor of the building, which is themed as a kind of Irish castle. In the first room you are shown the Emerald Mask. This is your headgear that holds the Enchanted Lens, the VR lens. From there you enter a pre-show room, where you are introduced to the different characters including Addie, a fairy guardian and star of the show. You then move into a second pre-show, which explains what to expect, how the rides works, the do’s and dont’s etc. From there you enter the ride bay, where the actual experience happens, and take your seat. The attraction encourages guests to take flight with Addie and her dragon friend Ollie and fight the evil dark lord, Balor, to bring light to the darkness and rescue the sacred Heart of Eire. Together you will battle the dark forces as you soar above the lush landscapes and mystifying powers of the Otherworld. Will you be a hero? We benchmarked other VR attractions to see what they were using in terms of technology and headgear/eyewear. There’s a lot of different guests going through our attraction each day; a lot of different shapes, sizes and ages. The Enchanted Lens is at your seat when you enter the ride bay and goes straight onto the headgear that you are already wearing. The Emerald Mask went though multiple iterations. The team came up with a great solution that is very intuitive and easy to use. People realise quickly how to fit it, tighten it and attach the Enchanted Lens, which is held in place with a magnet system. Throughput on VR attractions is a challenge in the industry. By taking this approach, there are less adjustments needed on the mask; less questions overall. And it absolutely helps us with throughput. Hygiene was a critical factor too. After you have done the experience, you take the lens off, leave it at your seat and dispose of the headgear in a bin. The headgear is then washed. They are one time use, so you are not using some headgear form some other guest. I think our system is unique compared to many of the other VR attractions out there right now that have more of a manual cleaning process. I love the portion of the ride where you are flying on the back of the dragon. That feeling, immersed in the virtual reality world paired with the motion simulator, is just incredible. When I’m on the ride and I hear the cheers of the guests, that always brings a smile to my face. 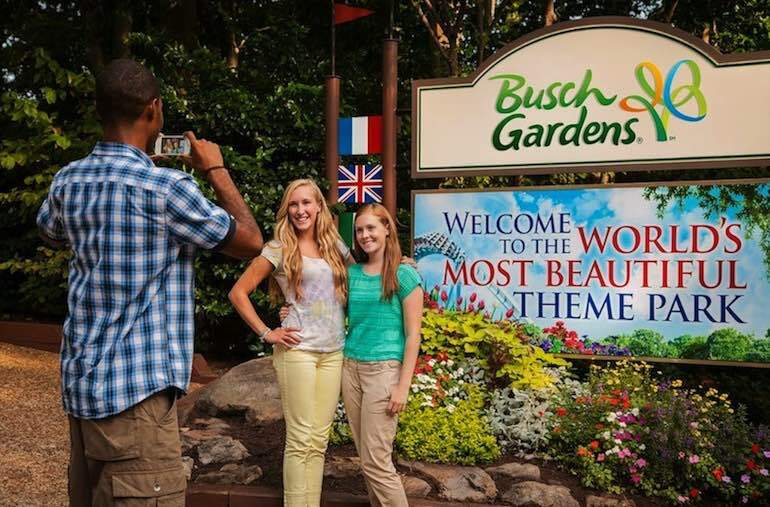 At Busch Gardens Williamsburg, we want to experiences that appeal to a wide range of guests. In 2017 we put in InavdR, a fantastic wooden roller coaster. So we have our thrill experiences, but then we have our folks who don’t do any roller coasters. Battle for Eire really allows the whole family to interact and engage with the experience. The height requirement is just 42 inches [1.06m] so it’s something our younger guests can do too. It hits a lot of demographics. And indoor attractions are of particular interest; they provide air conditioning in summer and rain protection when it’s wet. Virtual reality does pose unique challenges on the marketing side. A coaster’s very obvious in what it is. So what we tried to do with Battle for Eire was focus on the characters, the story. Then, as the ride came together, we focused on the VR system and giving folks a better understanding of the motion on the simulator. We wanted to give them a sense that, while it’s not a high thrill ride compared to some of our coasters, there is, with the motion and the visuals, absolutely an element of thrill. It really was a 360-degree marketing campaign, including online video with behind the scenes elements. And our guests really responded to it. Certainly we want to be able to drive more people to the park, as we would with any other attraction. However, we also want to make sure that when they are here their experience is the best it can be. We know new attractions drive interest. We are always looking at what’s next, what our guests asking for, what trends we are seeing in the industry. When it comes to new attractions we tend to keep everything on the table until we narrow it down. So there could be more media-based experiences in future. Key for us in the coming years will be to maintain the quality of experience here at Busch Gardens Williamsburg. We are the most beautiful theme park in the world, heavily themed with a European charm. I know people appreciate the tradition of our park. We take great pride in that and remain laser focused on maintaining that reputation and exceeding guest expectations. 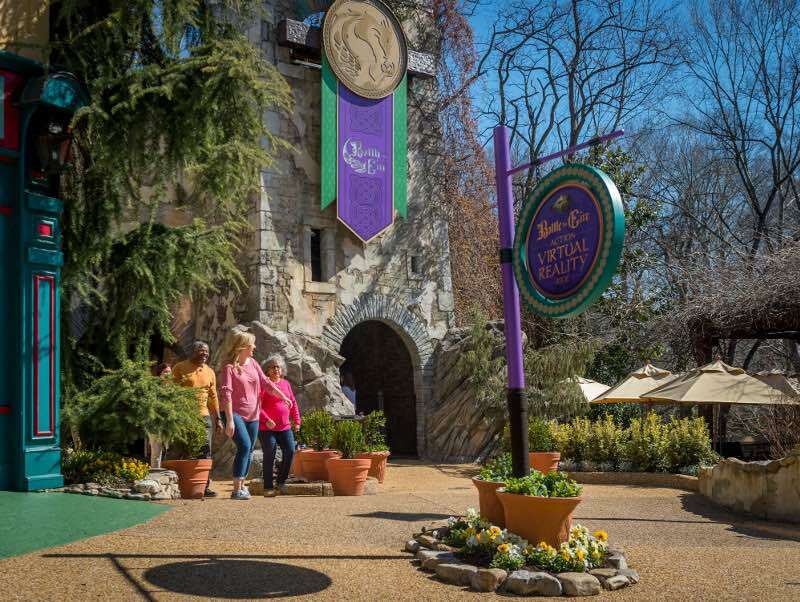 A visit to Busch Gardens Williamsburg is totally different to a visit to Busch Gardens Tampa in Florida. There’s an amazing, world-class animal collection down there in Tampa, and certainly an education component to it as well. While we do have a few species that we know our guests love here in Williamsburg, we are less focused on that animal component. We do have some overlap on the roller coaster side. However, having worked at both parks, I think it’s fair to say that they are truly unique to each other. And that’s a good thing. We have a lot of guests who have memberships to both parks. What they tell us is they love the variety and different experiences offered at each. An annual membership to Busch Gardens Williamsburg also grants you admission to Water Country USA, our waterpark. I have been fortunate to work at three different parks within the SeaWorld Parks & Entertainment portfolio. On top of that I spent close to nine years at our corporate office in Orlando. There I worked in collaboration with all the parks and properties across the US. I think that experience and the number of leaders I have met throughout my years give you some perspective to take into a role like this at Busch Gardens Williamsburg. It’s good to understand what’s happening not just in our parks but within the industry in general. But as park president, there are always opportunities to learn. 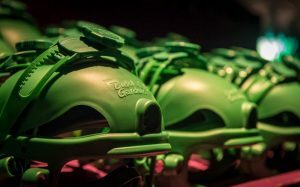 Falcon’s Creative Group was contracted by Busch Gardens operator SeaWorld Parks & Entertainment to provide a turnkey solution for Battle for Eire including all media and sound production, in addition to the virtual reality hardware at the heart of the attraction. The Orlando-based firm, which has developed several previous attraction concepts for SeaWorld, worked with CAVU Designwerks and DreamCraft Attractions on this occasion to develop a custom solution for Battle for Eire. 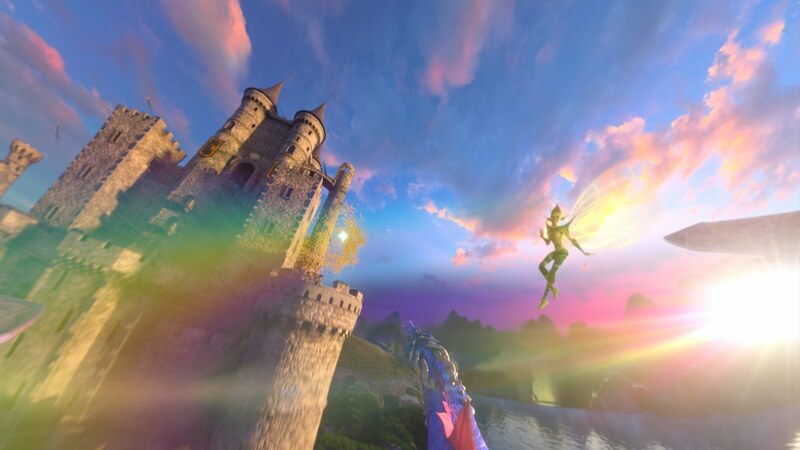 Falcon’s vice-president David Schaefer explains why attraction designers should use VR wisely. Battle for Eire artfully blends storytelling, technology and traditional Irish lore into a captivating adventure that puts riders right in the middle of an epic battle. Falcon’s are eager to continue utilising virtual reality as a tool for other themed entertainment experiences around the world. 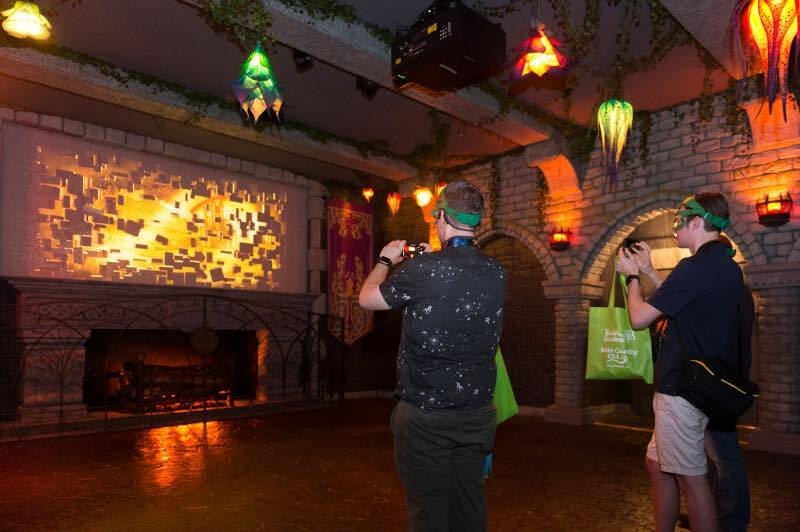 VR is another tool in a designer/producer’s kit to deliver immersive experiences to guests. And, as with any technology, it can be used both wisely or poorly. We are strong advocates for weaving the VR system together with the storyline to reduce the impact of breaking immersion due to the technology. 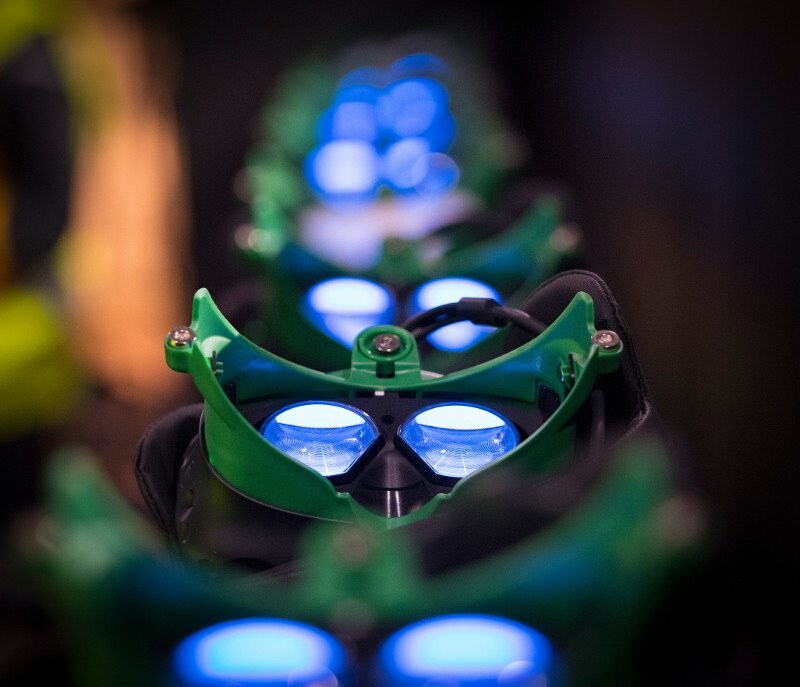 Battle for Eire was a positive step forward in this regard as guests are outfitted with an “Enchanted Lens” in order to visit the Other World. There will continue to be technological advancements. These will improve the resolution, frame rate etc of VR systems and which will result in richer experiences. We also believe we will begin to see more bespoke VR-based attractions. These will be designed to leverage virtual reality from the ground-up, rather than simply utilising VR as an upgrade to an existing attraction. This will also result in richer, more immersive experiences.